Barcelona, or in ancient Iberian, certainly lived up to it’s reputation for fabulous food, wine, sunshine & culture all served up with a pinch of chaos for the 4 days I was there. I arrived at BCN on a Transavia (budget airline of KLM) flight from Rotterdam which could only be described as uneventful, exactly how I like my flights. It’s unfortunate in a way that one’s first impression of Barcelona is likely to be its airport but I guess this is the case for many a wonderful city (I’m looking at you London Heathrow). In this case the airport was clean and appeared to be functioning as intended but the layout is dreadful and I was forced to walk literally from one end of the terminal where the plane arrived all the way to the other end of the terminal where the baggage claims are, a distance that can’t have been far off a kilometre. Then, to add insult to injury, if one wishes to take the train into Barcelona, one must walk all the back to the other end of the terminal (on the lower level now) where my plane was still sitting before crossing a long bridge to finally arrive at the train terminus. This was a good 20 minute walk! And signage was sorely lacking. Anyway, enough whingeing. My luggage arrived unscathed and it is true that BCN is undergoing a major renovation and extension so perhaps these issues will be solved in time. Train into city. 3€. Bargain. This was my first visit to Spain so I was eagerly looking out the window as we headed into the city. My first impression of the countryside was that it looked very hot and arid which I suspect is exactly what it is. We travelled through industrial sites before reaching the outskirts of the city so it wasn’t the prettiest outlook and, like most large European cities, the suburbs are crammed full of large Soviet style apartment blocks. After a long and somewhat fraught change at Passeig De Gracia on to the Metro I arrived at Jaume 1, the closest subway stop to our apartment. I emerged blinking into the sunlight, got my bearings via iPhone and began the short walk to the accommodation. I quickly realised that, like the Romans and the Parisians, Barcelonians are impatient (ahem) drivers that make full and unbridled use of their horns. For me, the booking of accommodation, be it hotel, apartment, chateau, is always an act filled with trepidation. 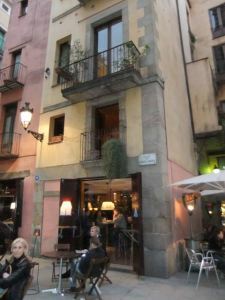 I freely admit that I am intolerant of noise on a pathological scale and so, given that this is difficult to judge when making the booking, I was nervous that sleep would be in short supply as our apartment at Plaça d’Antonio López 6, Barcelona, Spain is near a busy road. I needn’t have worried. The apartment is sensibly arranged with a double height lounge/kitchen at the front of the building and then the bedrooms, cave-like, nestled at the back, one on the lounge level and one on a mezzanine level, both with bathrooms. It was a high quality apartment with few faults and I can report that I slept like a baby for the 4 nights I was there. You can book the same apartment via Friendly Rentals. 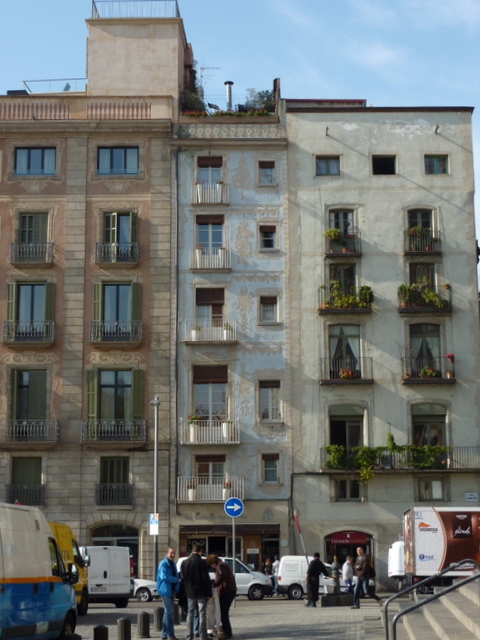 I arrived in Barcelona an hour or so ahead of my friend Caroline so had already made my way separately into the city. On the way I was feeling extremely paranoid having been warned about pickpockets due to the fact I had 1000€ in my wallet in order to pay for the apartment. Accordingly my wallet was in my front jeans pocket which would have required a pickpocket of extraordinary skill to extract it. Or some blatant groping. Either way, my wallet was not stolen and I was able to check in and pay for the apartment and the security deposit. Caroline didn’t fare so well. I received a text that a guy had extracted her wallet from the pocket of her suitcase on the stairs of the metro and would have got away with it if not for the intervention of a little old lady and her handbag. Apparently said little old lady witnessed this ruffian stealing the wallet and started screaming and bashing him round the head with her handbag. Naturally this attracted some attention from other passers-by who came to assist. Long story short, the wallet was retrieved and the robber scarpered. Crisis averted. Given the state of Caroline’s nerves after the fraught metro trip our first point of call was a wine bar. I consulted the Lonely Planet guide on my iPhone and found a wine bar on Placa de Santa Maria called La Vinya del Senyor. 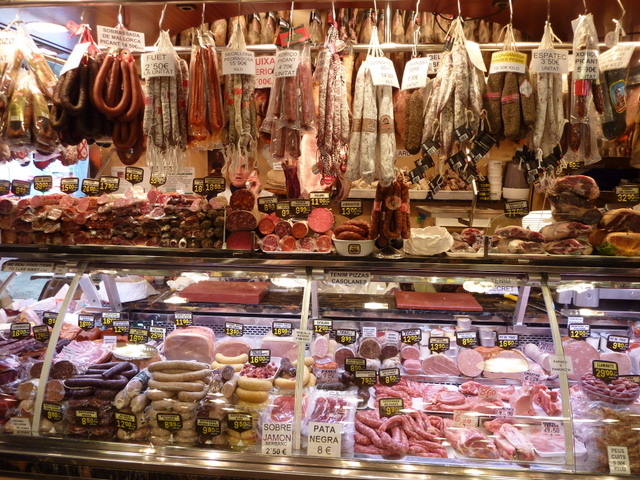 It is located right in front of the Santa Maria del Mar Church and has a huge selection of wine and tapas. Unusually they offer quite a few wines by the glass giving us the opportunity to sample different Temperanillo’s without having to buy full bottles. As recommended by Lonely Planet we sat upstairs in the window which gave us a commanding view of the piazza and the Church – extremely convivial and the travel tribulations were soon forgotten. 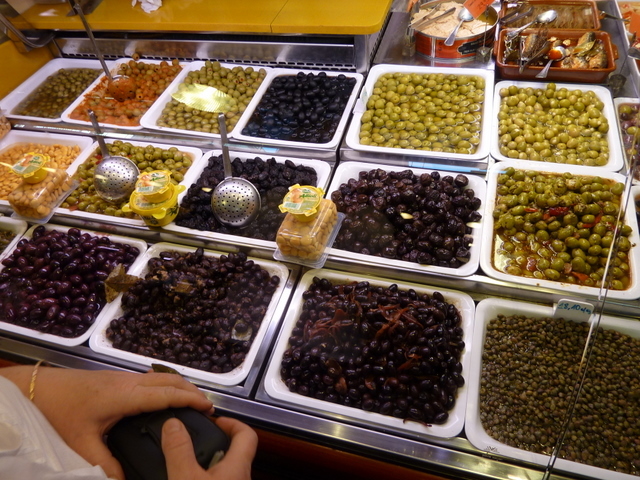 I direct you to Caroline’s blog for a more detailed analysis of the wine and tapas. The next day, Friday, was the wedding of Chan and Neasa, an Irish/Sri Lankan/Kiwi wedding in Barcelona. Perfectly sensible. 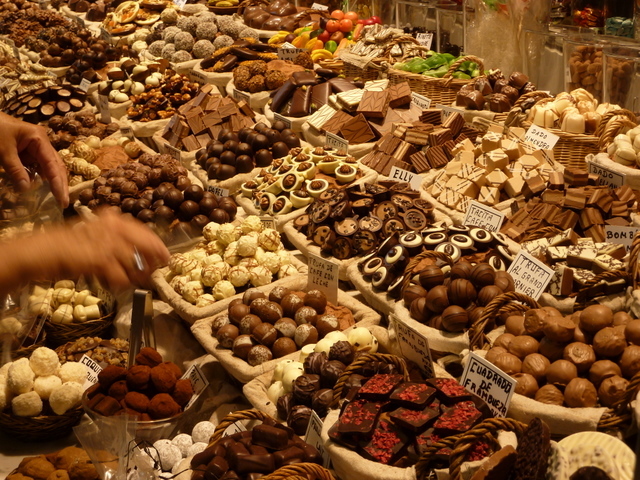 Again, I direct you to Caroline’s blog for photos and an account (mostly of the wonderful food). All I want to add is that the setting was amazing, the food delicious, the company hilarious, the dancing Irish, and the happy couple delightful. 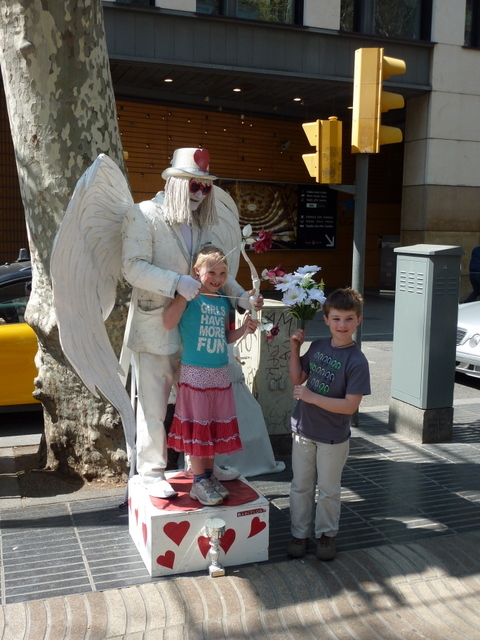 On Saturday morning we were up early(ish) to make the most of our 2 remaining days in Barcelona. 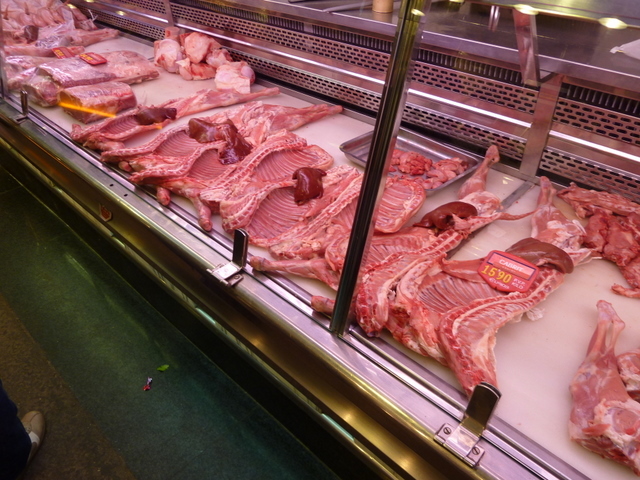 We started with a quick coffee (almost always exceptional in Barcelona) and a bikini (not what you think it is…) before heading to the Mercat de Sant Josep de la Boqueria, supposedly the best market in Europe. Of course with such a grandiose claim it is easy to be sceptical but I have to say I left feeling fairly convinced. 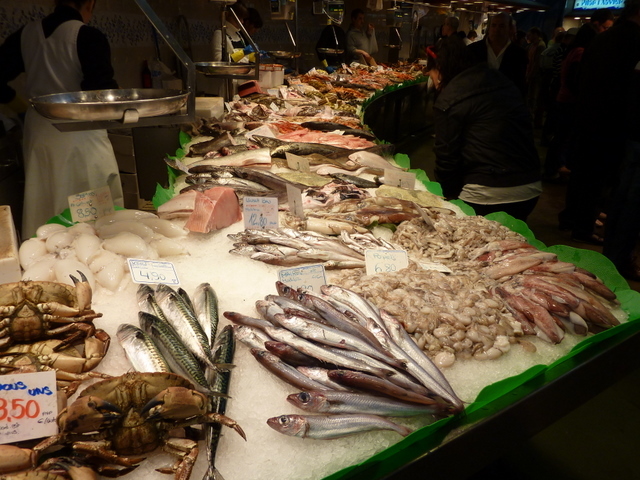 It was very large and stocked with the most luscious and well-presented fruit, vegetables, fish, meat and cheese I have ever seen. 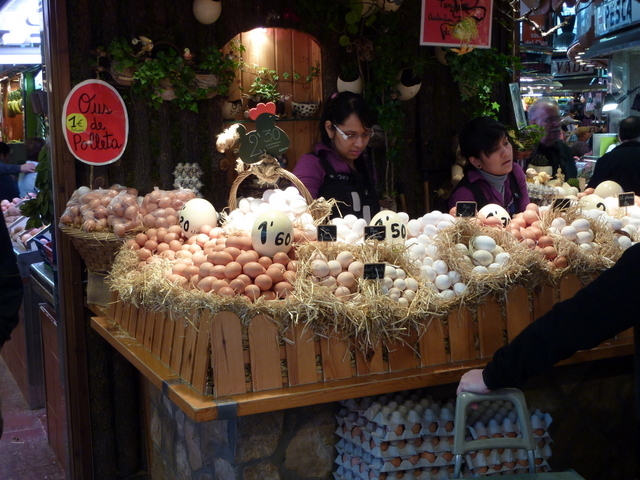 There were even stalls where you could choose eggs from different varieties of chicken! 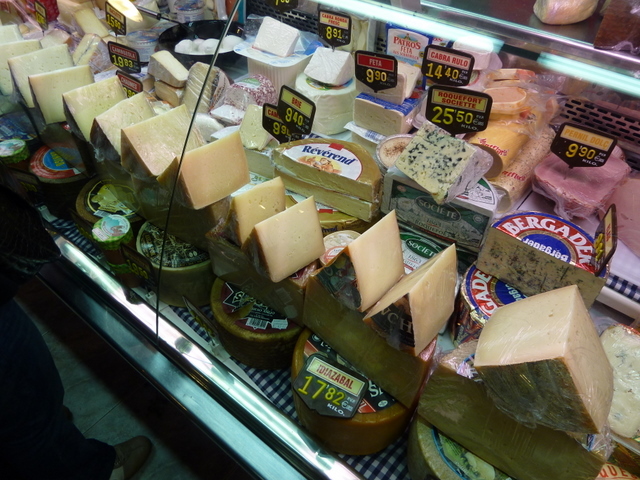 We stocked up on some delicious jamon (parma ham), cheese, strawberries, and olives. 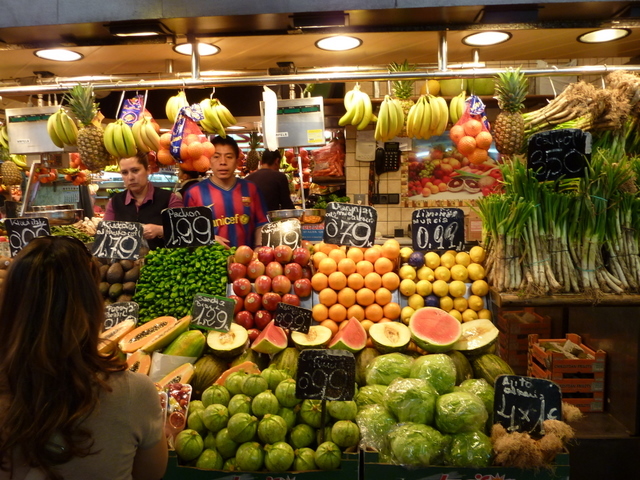 I would happily shop there on a weekly basis if I was a Barcelonian and certainly many of them appeared to be. La Ramblas terminates at the waterfront so we wandered along looking at the sights in search of a paella. After-all, one could hardly visit Barcelona without having paella at least once, or in our case, twice. Coupled with a rosé from the Penédés region the first time and a crisp Gessami Muscat Alexandria Sauvignon Blanc the second time the paella was delicious and fulfilling. And the setting for our Sunday lunch was magnificent, sitting on a terrace looking out across the beach to the Mediterranean. No visit to Barcelona would be complete without viewing a selection of Gaudi’s works. Given the shortness of our visit we were only able to visit La Sagrada Familia and Parc Güell but they are arguably the most famous and spectacular. 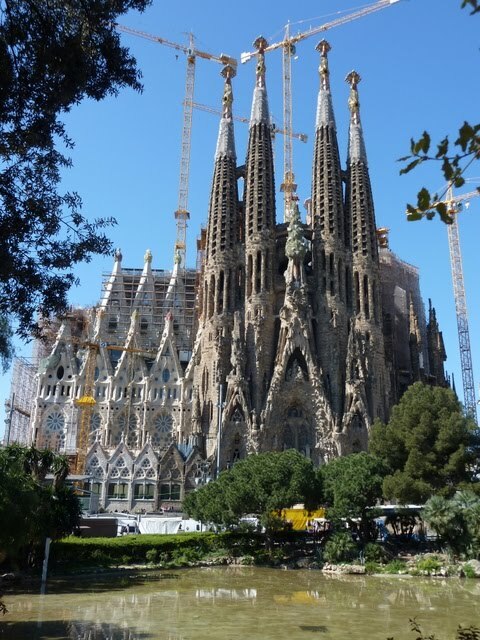 Sagrada Familia is a Roman Catholic church that has been under construction since 1882 and is still far from complete. It is both mad and amazing and there is nothing else like it in the world. I highly recommend a visit and it is worth paying to see the interior. We took a taxi to the park and thankfully he asked us whether we would prefer to go to the top gate or the bottom gate as the park is very steep. It was a very hot day and we were extremely pleased not to be trudging up the thousands of steps unlike most of the other tourists. Instead we were able to meander down with an amazing view of Barcelona spread out before us. 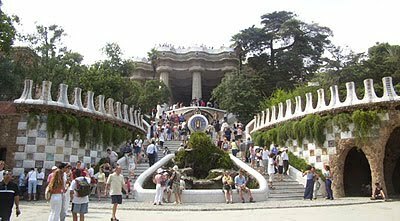 The park really is quite mad and there are amazing mosaics and sculptures everywhere. We spent the rest of the day exploring the Gothic quarter and basically doing some shopping. It was refreshing to find small independent shops that were unique to Barcelona and not chain stores that you see in every international city in the world. I managed to buy myself a trilby hat and a bright green satchel with a Vespa on it. Can’t decide if the bag is too camp or not but I really like the hat! That’s about all I have to report on Barcelona. It is a fabulous city and I wish I had had longer to explore it further. I will certainly be back soon.